However, when physical control isn’t possible or if there is a serious and immediate threat to public health, we will use pesticides to eliminate the public health threat. This environmentally-sensitive approach poses minimal risk to humans, animals, and the environment. It’s easier to control mosquitoes when they’re in the water. A majority of our pesticide use is on mosquito larvae and pupae. Tackling mosquitoes in standing water is extremely effective using the following materials. Contains insect growth regulator that halts the mosquitoes from developing in the water. Target-specific to mosquitoes. It is more difficult to control mosquitoes when they’re flying, but tools are available to control a mosquito infestation or disease outbreaks. These materials target the adult mosquitoes (adulticides). Most applications of adulticides use less than 1 fl. oz. (2 tbsp) per acre. They’re dispersed in diluted amounts as ultra-fine droplets, which break down to harmless ingredients very quickly in the environment. When would vector control conduct adult mosquito control? Mosquito life cycles are short; In fact, in just one week one swimming pool can produce more than 10,000 mosquitoes. Every week, thousands of mosquitoes will infest a neighborhood, if left uncontrolled. 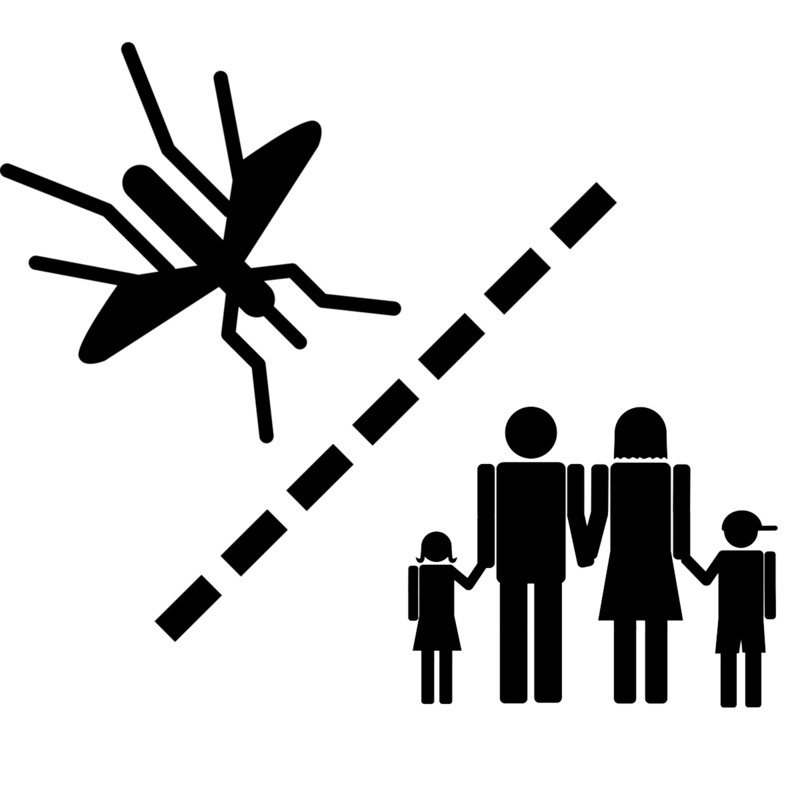 The District controls mosquitoes through an Integrated Vector Management (IVM) approach whereby various factors are taken into consideration which direct decisions as to the best approach for any given situation including: source reduction and habitat management, larval control, adult control, and public education. The decision to control adult mosquitoes can be triggered by various factors including: current mosquito populations, VBD indicators (positive mosquitoes, birds, chickens, humans etc. ), temperature and other environmental factors, challenges controlling transmission with other methods, etc. Have you ever done adult mosquito control? Yes, the District conducts adult mosquito control as conditions/disease activity warrants. 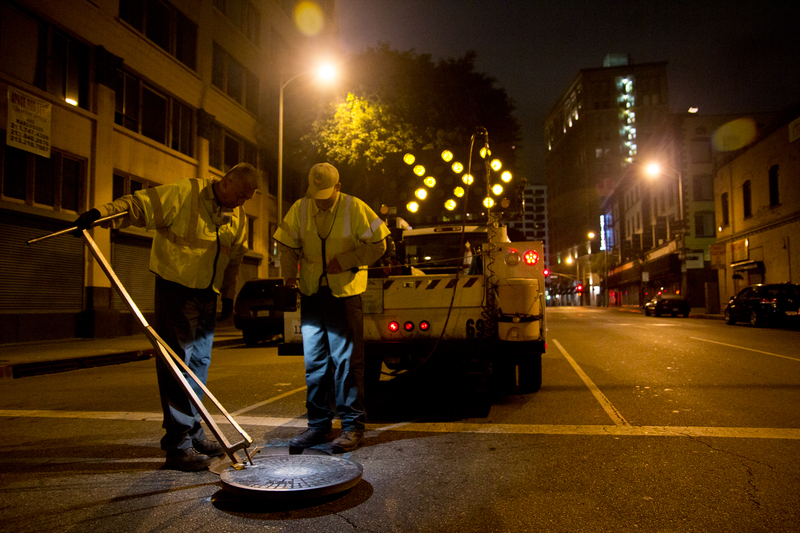 We use handheld and truck-mounted equipment targeting adult mosquitoes on individual properties, neighborhoods, and in our underground systems as needed to control both WNV and populations of invasive Aedes mosquitoes. Have you ever done AERIAL adult mosquito control? We have treated larval sources by using helicopters to disperse pesticides in hard to reach areas, but have not utilized aircraft to control adult mosquitoes. We have not yet been faced with a situation where this approach was needed/warranted. We will conduct aerial adult mosquito control if conditions are warranted in our area. Our first priority is protecting public health, and will use this approach, if necessary. What conditions would warrant aerial adult mosquito control? We utilize the California Mosquito-Borne Virus Surveillance & Response Plan produced by the CDPH to evaluate VBD risk on a local and regional level and guide control/risk reduction procedures. Under these guidelines, aerial control should be considered when epidemic risk levels are reached (4.1-5.0) and the decision would be based on the size of the area of concern, and if other control efforts have not reduced risks. How would you notify the public if an aerial adult mosquito control is scheduled? While we are not required to provide any specific form of notification, vector control districts go to great lengths to ensure the public is well aware of disease risks and pending treatments when necessary. We will provide pre-notification via our website, social media sites, news alert list-serve, public postings in the treatment area, and through the media to the greatest extent possible. What pesticide would you use for aerial mosquito control? That decision would likely be made at the time aerial control is considered. We regularly monitor our mosquito populations for pesticide resistance and would ensure the right product is being used in the given area when needed. How safe are aerial pesticide applications? Aerial applications pose no more or less risk than truck-mounted or hand-help pesticide applications. Airplanes allow Districts to protect public health over a larger area more quickly, and more efficiently. The decision to use this approach is made by the District based on current disease and risk parameters. The active ingredients in the pesticides used for aerial mosquito control are products commonly found in many over-the-counter insecticides available to the general public. Aerial applications actually use less pesticide than is commonly used around the home because aerial equipment disperses much smaller droplets to better target mosquitoes. The decision to conduct adult/aerial mosquito control is never taken lightly. The products are less specific and can impact non-target species, therefore will only be conducted when public health is threatened and other means have not been adequate to reduce these risks.